Although malware evolved exponentially and most of the payloads are nowadays built by large groups or even underground multinational organizations, most of the business security still runs using blueprints designed years ago. Recent changes in cyber-attacks complexity are forcing companies world-wide to rethink how IT security is implemented and how budgets are spent. We generally see an increase in IT security spending ranging from software, hardware appliances, services and support but a decrease in products efficiency regardless of business size. For example, campaigns targeting ransomware and confidential data exposure are damaging both SMB and large enterprise market. SecurityUse.com dedicated a team of senior security consultants and business analysts to assess how security solutions are used in businesses across US and Europe. What the team found is that either due to budget constraints, lack of expertise or vendor locked multi-year contracts lots of the companies face huge risks of not detecting and mitigating latest threats. As a managed security provider, SecurityUse accepted the challenge to change the way IT security is consumed in the benefit of all businesses. They state that selling software licenses and hardware appliances is not a real way to be helpful in the fight with cybercrime – but managing security for businesses and packing premium products in an affordable subscription is. The solutions provided by SecurityUse are all based on cloud-powered threat intelligence and management ensuring that processing, storage and availability is far higher than any resources a normal company may reserve for detecting cyber-attacks. On top of this all services are fully managed from a security operations center in Central Europe by an army of cyber security experts and offered as a subscription. Think of it as an all-inclusive stay at a five-star hotel. You don’t have to buy the hotel, restaurant and staff – you can enjoy all premium services as a rental. So why buy a product when you can rent it in a flexible monthly subscription, bundled up with all the needed knowledge? SecurityUse offers a fully managed antimalware solution for endpoints that takes the detection and decision making from the computer to the cloud. Everything is taken care of so you don’t have to worry about any policies, settings or management consoles. Basically the antimalware is an agent with very low footprint, capable of outstanding performances even if you install it on an older PC. For example, on Microsoft Windows systems a full system scan runs in under 90 seconds, it has an install size of 1MB and RAM usage of around 5MB. The agent looks over any suspicious activities your PC and checks file hashes live against a huge database in the cloud. Currently the solution tracks around 300 million known files. If a file is not known (in a normal AV that translates to a signature does not exist) the file is marked as suspicious and all its actions tracked. If some malicious behavior is identified, the file is immediately quarantined and all changes rolled back. If somebody from your organizations runs the same file, it will be immediately notified as malicious. This approach has many advantages: high performance, zero touch management, collaborative security that automatically learns any new threats, no need to wait for signature updates. SecurityUse offers several options for filtering the web traffic generated from your network. The solution can filter malicious websites, malware downloads (including drive-by) and any unwanted content based on tens of categories. It is the best approach to increase productivity, availability and safety level inside your organization. The filtering takes place in a cloud spreading on 14 datacenters across US, Europe and Asia. For privacy reasons data requests are processed in nearest nodes and traffic can be contained in a specific region. 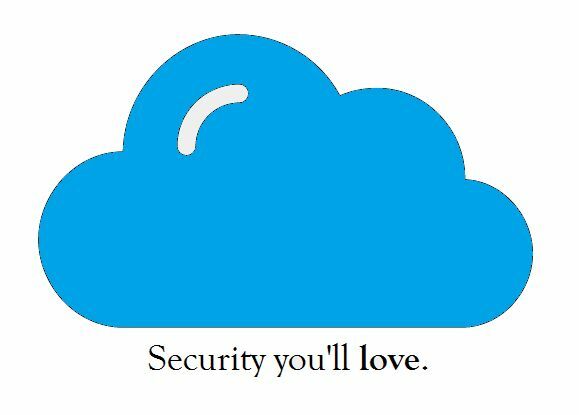 Currently this threat prevention cloud processes 17 billion transaction daily. The whole solution is fully managed so policies, settings and any incident response is handled by a team of experts running the security operations center. • Full HTTP(S) inspection, offering a full cloud web filtering applicable to users directly. Each user will be enrolled and authenticated, so granular rules can be applied. Settings follow the user regardless of device, location or internet connection. Thank you for Share your informative knowledge. It is known by all that the malware can damage a system internally and if we do not take any action against it, it may kill our system and all the data in it. So as soon as possible we have to secure our system from malware attack. In this matter, we may contact to Kaspersky customer support and install an antivirus on our system to protect all our data over the system.